You remember every detail about him. He probably had glasses, he certainly had acne, and he more than likely had a Rush t-shirt on. You remember him well because he absolutely ruined you at Mortal Kombat II. To top it all off, he preformed a fatality on you. How did he know the button combination to do that? There was no internet, there was no “googling” something. You either had a magazine, or you were just lucky and figured it out. Either way, he beat you in a public place and you quietly shuffled yourself back to the food court. The down-side to anything can taste bitter, but what about the other times? The times were you completely dominated someone in front of a crowd of people. Like the time you expertly dodged and blocked every blow in Soul Caliber and crushed the soul of some poor would be champion. 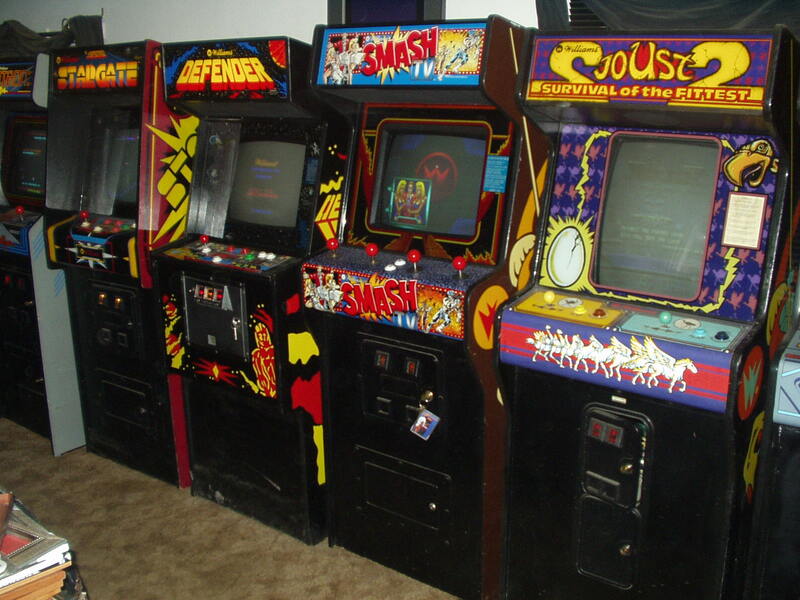 Arcades provided all of these peaks and valleys for it’s nerd occupiers, and for a time in our young lives (if your part of our generation, that is) arcades had the most graphically advanced and superior games. Console ports of arcade games in the late eighties and early nineties didn’t always transfer so well, and there was something magical about standing in an arcade full of people and playing video games. Competing with people standing shoulder to shoulder in front of crowds, hanging out with actual people and meeting life long friends, these were all tokens of the arcade era that have slipped completely out of gaming culture today, and I would like to know why. Arcades are a shell of their former self these days, always run down and barely functioned sections of movie theaters, bars, or shopping malls. The games are older usually, not many new arcade games make their way to the states anymore, and always inferior to home consoles and PC’s that can achieve anything an arcade cabinet can do these days. However, it is not like gaming culture has lost the competitive spirit though. Xbox live and PSN exist to bring gamers together to cooperate and blast each other 24 hours a day. It is the ultimate dream that arcades as a business model always hoped to achieve, to monetize gamers competitive spirit and have them pay whether they win or lose. Arcades did this all first, but the bullet that ended their life would forever be the internet. Though it gained most of its steam with the turning of the century, as early as the mid-nineties gamers where connecting online to do all of the things they used to in arcades; talk about games, see new releases, and compete with each other. It is pretty easy to track the decline of arcades when it coincides perfectly with the rise of online gaming. Gamers could now just do in their mother’s basement what they had to actually go outside to do before. The decision was pretty obvious. If an arcade still exists today, it is completely because of nostalgia. They are typically not highly profitable establishments anymore, even though some have opened in high profile locations such as Las Vegas and feature both arcade and console games along with alcohol. A winning combination for sure. For the Geeks of this website and podcast however, the arcades that captured our attention and quarters however are long gone. I”m not saying I don’t like xbox live, but I do sort of resent it for ensuring the death of arcades everywhere. Defeating someone in person standing next to you will always trump beating some random screen name on the other side of the world. I also won’t lie, as a child my dream was to one day own an arcade, but attempting to do that now would be a sure fire way to seek business failure. Arcades can still live on in our memories though, and if I win the lottery one day you can bet I will be throwing in a few Joust and Mortal Kombat machines in somewhere just for nostalgia’s sake.